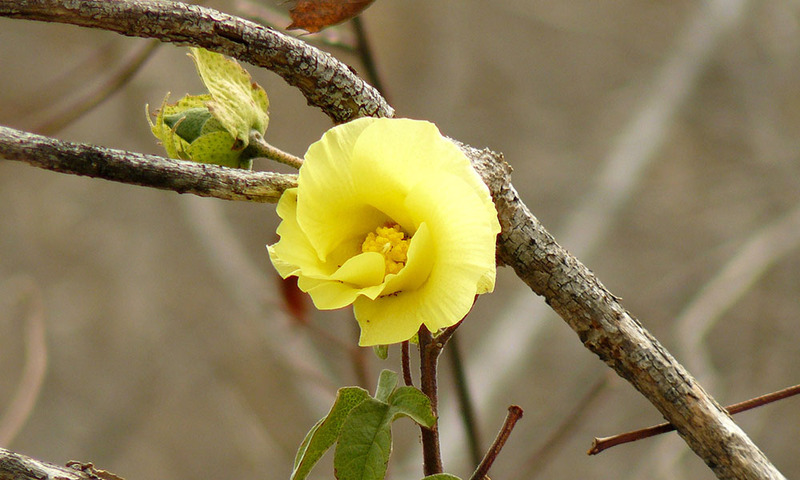 The Galapagos cotton plant has the largest flower of any endemic plant on the Islands. Galapagos cotton, or Darwin’s cotton, is a shrub endemic to the Galapagos Islands. It is found in the arid and transition zones in shrubland and dry forest, and can grow up to 3m high. The plant normally only flowers after heavy rains. 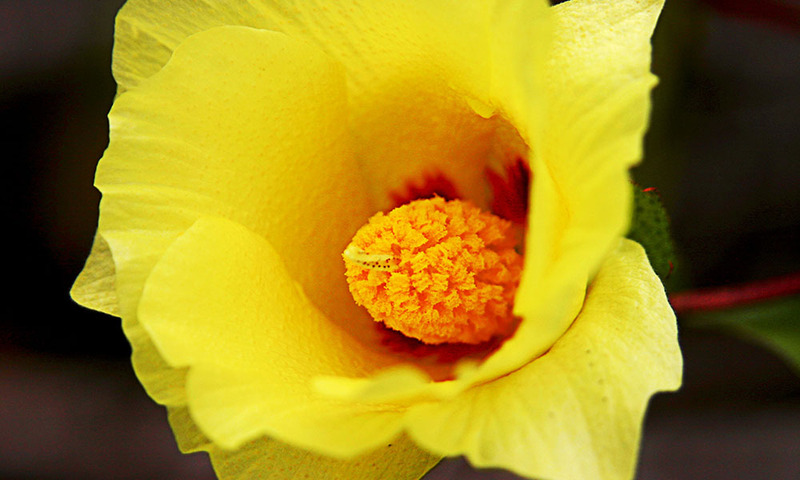 Its flowers are a bright yellow colour, and are the largest flowers of any endemic or native plant in the Islands. The seed produced splits open and produces fluffy cotton. Whilst the cotton is not cultivated or harvested for trade on the Islands, it is used by small birds as a nesting material. Scientists have been able to utilise this behaviour by contaminating the cotton with insecticide, allowing the birds to self-fumigate their nests against the invasive fly, Philornis downsi. Genetic studies have shown Galapagos cotton to be closely related to Sea Island cotton, Gossypium barbadense, native to the Americas. Other studies have proven that Galapagos cotton seeds can float in salt water for more than 10 weeks with the embryo still remaining viable. From this research it is believed that Galapagos cotton colonised the Islands when a seed arrived either on the wind, in bird droppings or floating on the sea. Where to see them: Galapagos cotton is abundant on almost all islands but can be most easily found at Tagus Cove and Urvina Bay on Isabela, at Post Office Bay on Floreana, and at Frigate Hill on San Cristobal. When to see the: This plant can be seen all year round. Threats: The biggest threat to Galapagos cotton comes from introduced livestock, which feed on the plant. Conservation Action: Galapagos cotton is one of the plants being replanted on the Islands as part of Galapagos Verde 2050, a project from the Galapagos National Park to restore degraded habitats of Galapagos, and to prevent the growth of invasive plant species. Galapagos cotton has been planted at sites on Floreana and Santa Cruz as part of this project.